I wrote quite a bit about Yura, his websites and the Allwine case in The Darkest Web, but things evolved further over the months since the book’s release. If you look through any of my blog posts about dark web hitmen, you’ll find dozens of bizarre rants from him under several different names. Over time, he has insisted his sites are real, accused me and Chris Monteiro of being the true owners of Besa Mafia, and threatened to come after me, Chris and anyone we cared about. Privately Yura wrote to me to let me know the true story behind his sites, but insisted he was doing the world a service by scamming would-be murderers out of their money. Our conversations moved from his website, to emails, to eventually real-time chats in Google Hangouts and our relationship was a roller coaster that at times bordered on something akin to a friendship. He seemed genuinely disturbed by Amy Allwine’s murder. After a while he started providing me with details about Australians who had been targeted on his site, which I passed on to police. When I told him about the CBS show and asked him whether he would be willing to be interviewed for it, he spent the next few weeks wavering between being super-keen and being dead against it. First he thought it would be a great chance to advertise his site, which was still running very profitably. Then he got so excited about being involved, that he forwarded details of some of the US-based targets directly to the CBS producers. CBS was skeptical, but forwarded those details to the authorities, which promptly resulted in an arrest. At this point, Yura had agreed to be interviewed for the show in London, and CBS flew me over there to meet with host Peter Van Sant and, hopefully, Yura. They hired a warehouse studio and arranged for an Academy Award-nominated make-up artist to be on hand to disguise his appearance. However, Yura had a massive hissy fit and refused to come, claiming CBS had reneged on the deal; the news reports had called his site fake and he only wanted to be interviewed if he could drum up business with claims he was genuine. I spent the next few days in London trying to cajole him to come in, but to no avail. We eventually had a huge fight and he deleted all the contact points I had for him. After I returned home to Australia, he got in contact with me again, acting as if nothing had happened, even though our last correspondence had involved significant very sweary insults on both sides. He told me he was still getting orders on the site, but business was slow. But he might have felt bad about being a no-show and said that he would send CBS “several videos of myself wearing a black mask giving my position on Besa and Allwine story”. Meanwhile, Chris Monteiro had gained access to the orders, which he passed on to CBS, who in turn tipped off the authorities. Those stories, including a couple of high-profile arrests, make up Part II of the 48 Hours episode. A little while before the 48 Hours episode came out, Yura provided me with access to the back end of his most recent site, Camorra Hitmen, so I could see the orders come in. I passed on some target victim information to Queensland and Victorian police, though I’m not sure much has come of my tips. Despite him saying business was slow, Camorra had taken in about 5 Bitcoin since it took on the new name, a period of around 8 weeks. All up, Yura’s hitman sites have brought in at least six figures, and according to the man himself, over a million dollars. Then as suddenly as he had provided backdoor access, he took it away, and once again the email addresses he was using bounced back. He is the most fickle hitman ever. 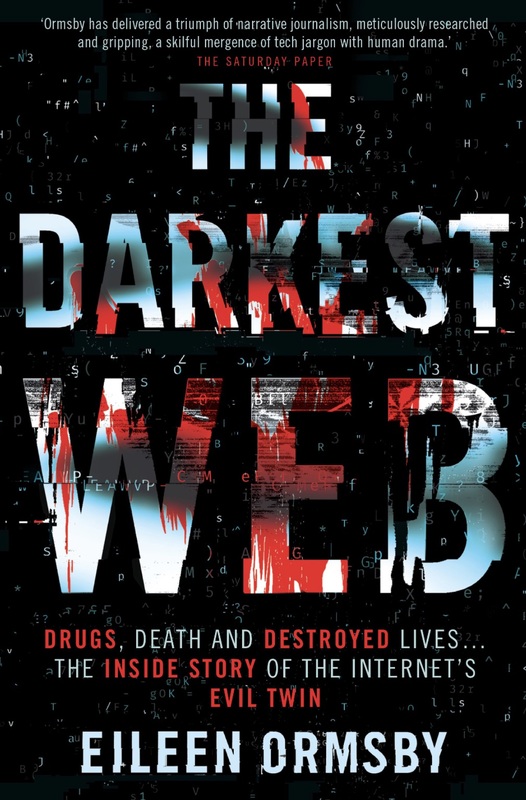 The Darkest Web is now available on Kindle in the Amazon US and Canadian stores. At this stage they don’t seem to be selling physical copies, but they are available with free worldwide shipping from Book Depository. I saw your interviews, Eileen. Great stuff! I still feel like the documentary exaggerated, to a degree – they made it sound as if most of the hitman sites were real. That’s TV for you, right? A few confusing things in the cbs show, it wasn’t Yura who sent target details to CBS and police, it was Chris Monteiro the hacker to hacked the site. Yura had no incentive and no reason to betray his customers, but Chris has hacked and closed many dark web sites including several hitmen sites. He just hired a freelancer to do the videos wearing the masks and saying the texts. Yura is not Iusting Paraschiv and is not romanian. The fact that many comments have an romanian IP, or hungarian IP or bulgarian IP means nothing, means only that Chris Monteio is pretending to be other people and is using proxies to hide his true IP, and he has claimed long ago that Yura is romanian and now he is coming and saying some romanian guy is Yura. Truth is that the only people known to be obsessed with hitmen for hire are Eileen and Chris, and is a high probability that Chris is so smart to fool even the British law enforcement into thinking he is not involved. However Chris did several mistakes such as inviting the CBS 48 hours host to london, his home city and he claimed he hacked Besa Mafia when in fact it was his own site, why doesn’t he hack other black marketplaces like dreammarket or other? how to get in on the link of darkweb?? Chris Monteiro from UK ownes many hitmen for hire websites and he pays freelancers to get actors to make videos of shooting guns for him, videos of admins wearing masks, videos of people burning cars etc.. If you google a bit about Besa Mafia and other hitmen sites, you will only find a few names linked to these kind of sites, articles, comments and stories. Isn’t it strange that the only people harping around hitmen sites are Eileen Orsmby and Chris Monteiro? Isn’t it strange that the only people obsessed with hitmen sites are Eileen Orsbmy and Chris Monteiro? Even the reporter in the CBS 48 hours show realised that Chris Monteiro IS YURA . He asks him are you Yura? And Chris Montiero lowered his head in shame that he has been caught, then grabs the moment and becomes an actor raising his head in laught and says no! But why isn’t Chris Monteiro hacking other deep web marketplaces? Because he can’t? How come he can’t? Because he only hacks the site he owns? Hitmen sites?